I’m a big craft beer enthusiast but I lack the technical curiosity to make my own. My pal Raymond, however, has spent the past three years honing his brewing skills across a range of styles, including a silky oatmeal stout and a Christmas-spiced saison. He’s only ditched one undrinkable batch and even built his own kegerator, so he can enjoy his beer on tap at home. Curious to see if I was missing out, I joined Raymond as his sous-brew-chef for a day. I chose to brew a Mango Chilli IPA, having tried one by Harbour Brewing last year and fallen in love with it. If you’d like to make your own, head over to Raymond’s site for the recipe and he’ll field any technical questions you may have too. 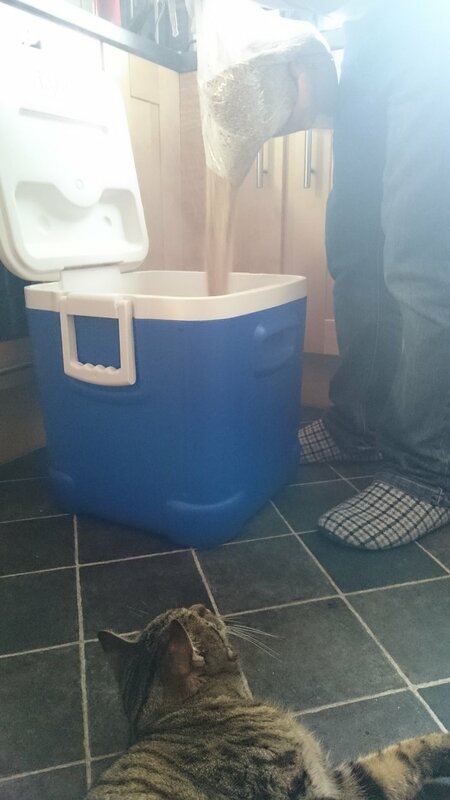 In case you’re interested, Raymond brews with a 30L electric boiler, 45L mash tun and various other accessories, including a big spoon, a sieve and a fermenter. 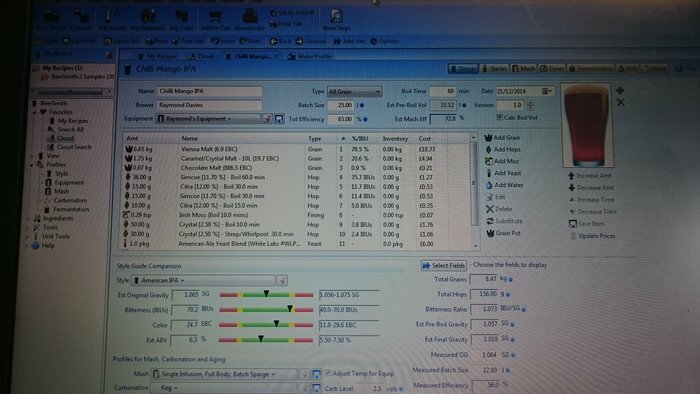 Most brewing gear is affordable and readily available online or in shops such as Brewstore on South Clerk Street, who also sell all the ingredients you’ll need. If you don’t fancy buying equipment though, I would highly recommend a visit to Stewart’s brewery. You can spend a day in their ‘Craft Beer Kitchen’ brewing on their special small-scale kit and designing your own labels for the bottles. 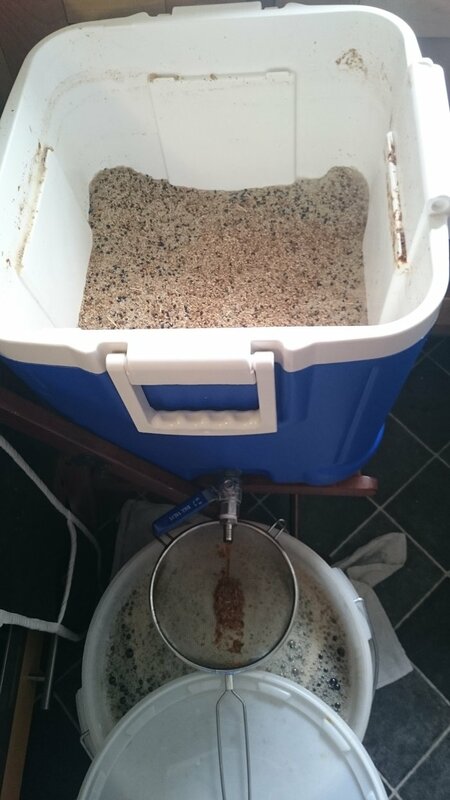 Once you’ve had a go at homebrewing, take your creations along to Edinburgh’s craft beer club. Hosted by Brewstore, it gives Edinburgh’s homebrewers the chance to exchange tips and review each others’ liquid triumphs. Personally, I think what the guys make is often as good as what you’d find in a bar. 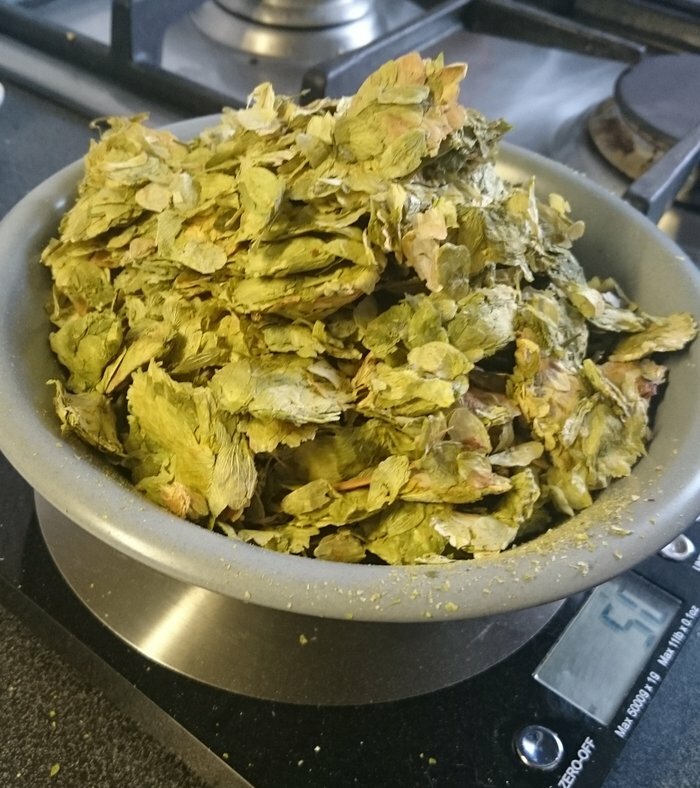 And perhaps that’s one of the reasons so many people get into brewing: to cook an exceptional ‘Masterchef’ meal is extremely hard, but making a great beer is easier, because it’s a more exact science. Once the basics of filling the boiler and sterilising our equipment were done, we chose our water profile. Different beer styles are associated with the pH, hardness and minerals of water and we used a programme called BeerSmith to choose ‘Salt Lake, Utah,’ suitable for our IPA. We added Magnesium Sulphate, chalk and bicarbonate of soda to our Edinburgh water to give it a similar chemistry to Salt Lake. I wasn’t allowed trendy Portland, Oregan because apparently that profile is better suited to a Pilsner than an IPA. 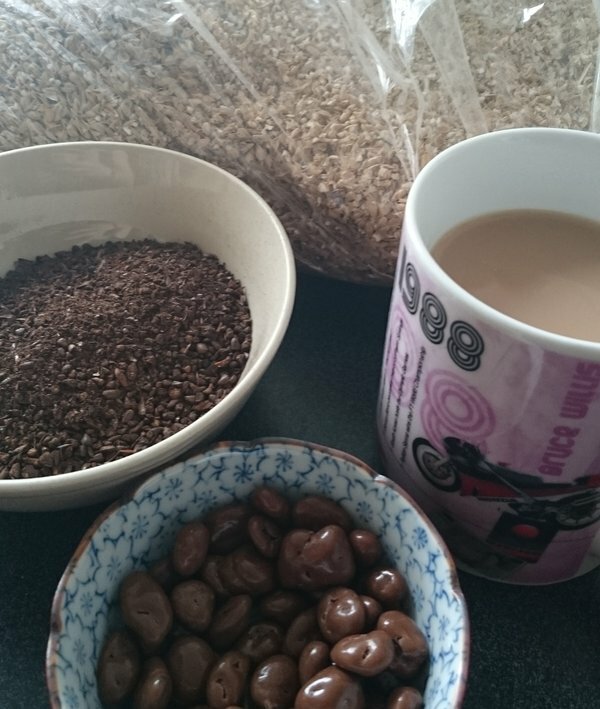 Next, we ‘mashed in,’ pouring in grains and Vienna, chocolate and crystal malts. These create the fermentable sugars needed by the yeast to produce alcohol, along with a roasty malt flavour and an amber colour. The chocolate in particular smelled amazing. The mash tun was then wrapped in a duvet to keep the temperature constant and the resulting liquid, called wort, was reminiscent of biscuits or porridge. 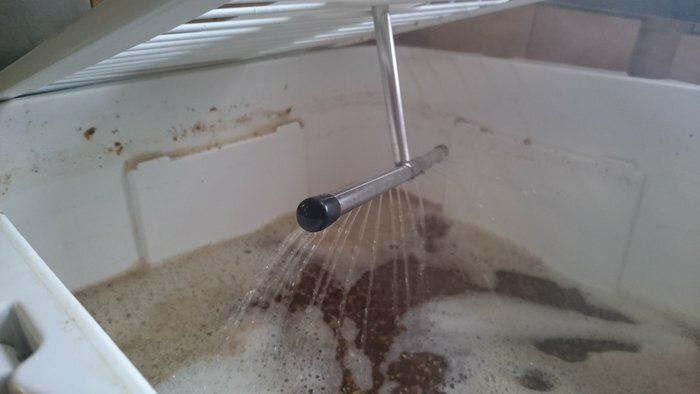 After 45 minutes, the wort was drained from the rest of the grains whilst ‘sparging,’ which is like a gentle shower that washes out more sugars. Plentiful sugar is important for the hungry yeast, which we would add later. At this point, we also measured our pre-boil gravity with a hydrometer. 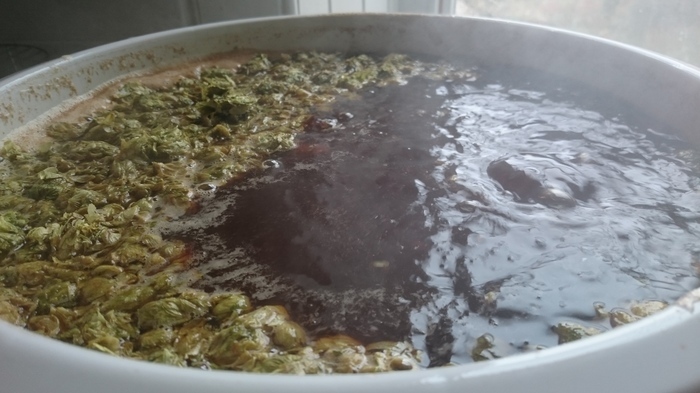 Pre-boil is the period before the hops and wort are boiled together and the gravity gives you a measure of the quantity of sugars dissolved in the solution. 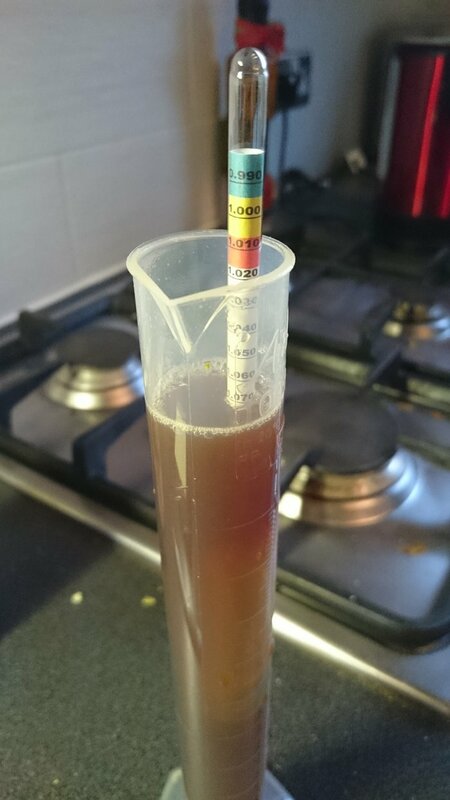 Later our gravity readings would enable us to work out the beer’s ABV (alcohol by volume). The wort was then boiled and various combinations of hops were added at set times – we used floral Crystal, citrusy Simcoe and full-bodied Citra. Just before the end we also put in some Irish Moss, which is essentially seaweed, to prevent cloudy beer. The beer then had to be cooled very quickly, from 80C to 30C, before it was placed on the fermentor to keep it at the right temperature for the next week. 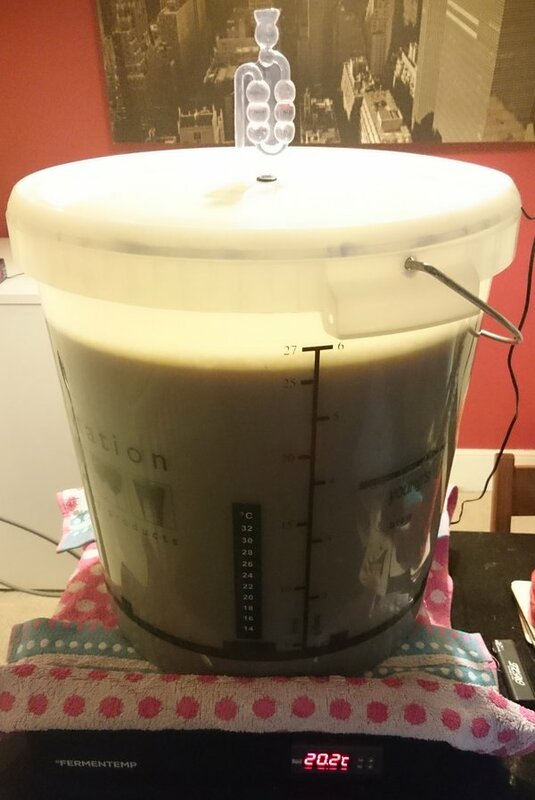 We added a kilo of mango puree and our American Ale yeast, which was whisked in to give it as much oxygen as possible. 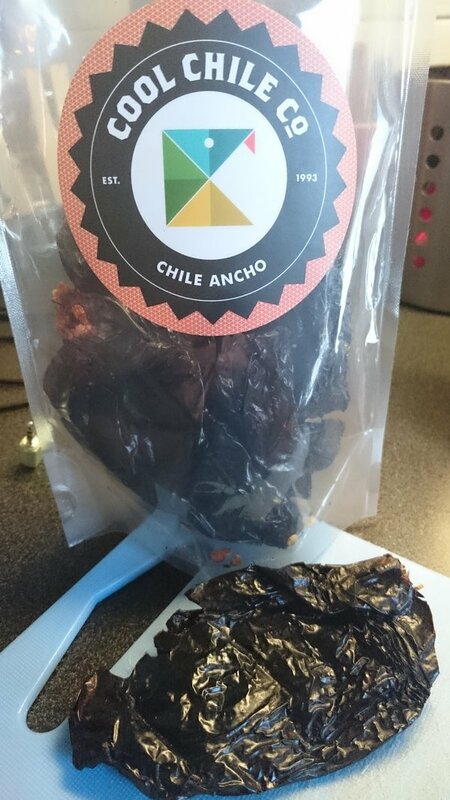 After a week, we tasted the beer and added another kilo of mango puree as well as fruity Ancho chillies, sourced from Lupe Pintos. After two weeks, once the chilli has properly infused, the beer will be bottled. I really enjoyed getting to grips with the science of brewing. Thanks to Raymond for his patience with my questions, the cleaning and the heavy lifting. For anyone who’d like to try our beer, I’ll be bringing some to May’s Scran Salon. And if you’d like a bottle to take home, let me know. At the last tasting it had a big kick! I expect it would go well with any creamy or tomato-based curry, as well as pulled pork or strong cheese, like Isle of Mull cheddar. Last updated by AmyB at April 6, 2015 . I’m in the process of setting up a small soft drinks company in Edinburgh and I’m looking to find someone with expertise in all things corny kegs, carbonating and pressure filling who may be able to pass on some advice to assist me in establishing my production set up. I saw your post and wondered if anyone at Stewart brewing would mind giving some advice in this area to a small business in edin? Appreciate soft drinks aren’t what is likely to get peeps at Stewart brewing excited, so no worries if this is of no interest. Would be greatly hear back from you.